All rates are for double occupancy. A $5.00 fee per day will be charged for each additional person. All rooms are pet-free and non-smoking. Thank you for your cooperation. * Rooms 1-4 include a refrigerator and microwave. 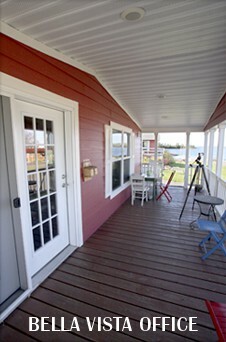 Ask us about WEEKLY COTTAGE RATES. Stay six nights and the seventh night is free! For the privacy of our guests, all cottages are NOT serviced by housekeeping. Guests are encouraged to contact the motel office with any needs they may have. PLEASE NOTE: Rates posted online are subject to change without prior notice. All rates do not include state and local taxes. The Bella Vista Motel makes every effort to maintain the contents of its’ website in a timely and accurate manner. 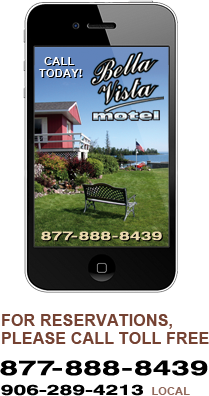 Call the motel office toll free at 877-888-8439 with any questions regarding our rates.